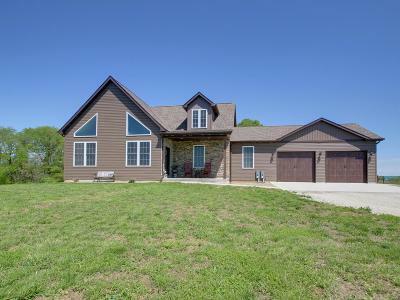 This is your opportunity to purchase a great home built in 2017 just North of Hannibal in Eleven Point subdivision on 4.38 acres. The open floor plan of this 2 bedroom, 2.5 bath makes entertaining easy. The wooden deck is just outside the dining area and the master bedroom. 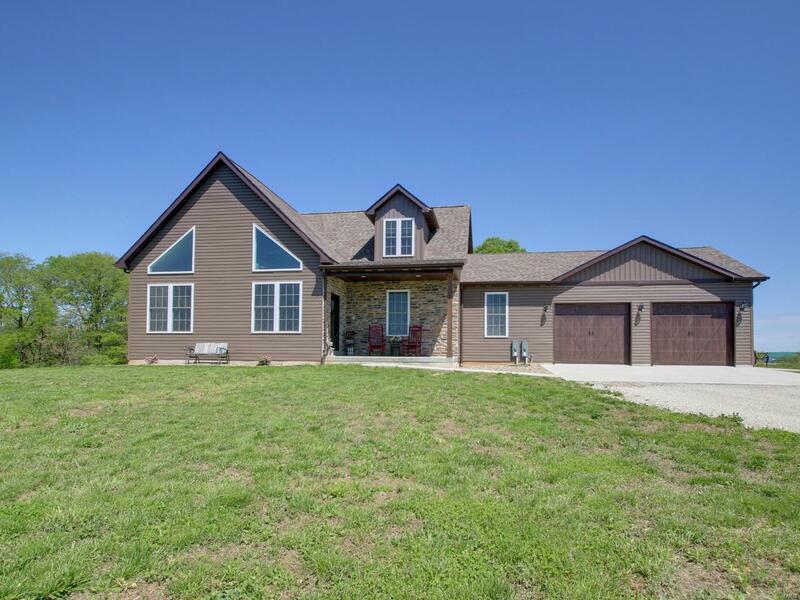 The kitchen boasts Amish cabinets, quartz counter tops, nice pantry and stainless steel appliances. Living room features an electric fireplace. The large family room is on the second level. Second bedroom and full bath also on the upper level. The master bathroom features a soaking tub and separate walk in shower. The spacious utility room is just off the garage. The unfinished lower level offers limitless opportunities for expansion. An additional 3 acres adjoins property and may be purchased for $30,000.